​So, if you want to take your English to the next level then you really need to start understanding and using collocations, and idioms. These 2 aspects of the English language are used every day by native speakers. Furthermore, they are commonly used in daily business interactions. They can be found in emails or spoken in a meeting. So, let’s look at what they are and how we can use them. 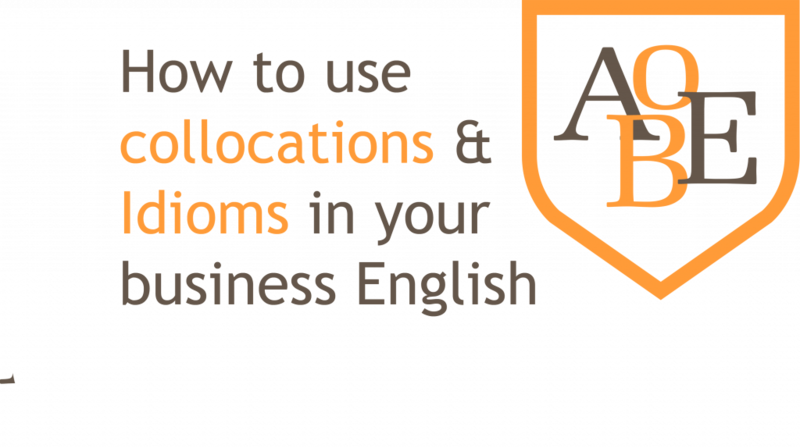 Andrew is the CEO and founder of the Art of Business English. Besides teaching and coaching native Spanish speakers in Business English, he is also passionate about mountain biking, sailing and healthy living. When He is not working, Andrew loves to spend time with his family and friends. Copyright 2019 by The Art of Business English. By using AOBE, you agree that we may set cookies for purposes such as customising content and advertising. Find out more.